I've 2 new giveaways to let you know about. 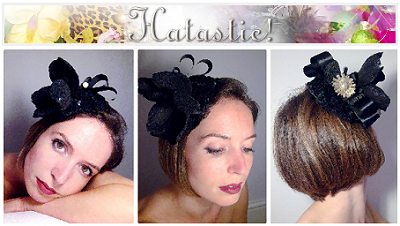 The first is from Hatastic! for the gorgeous Eclipse Fascinator. Entries close on September 14th. Click here to enter. The second giveaway is from Creativesque for a lovely set of 5 notecards & mini envelopes. Entries close 31st July. Click here to enter.